Our grazing platters are made from a wide range of cheeses, cured meats, and fresh produce. We have thorough knowledge of what flavours pair best together and we have created our platters with this in mind. Each grazing table is uniquely designed and styled to suit your event. The beauty of grazing tables is that they can suit all occasions. We love being creative so don’t hesitate to throw something new our way! Please see below for a sample of the grazing tables we provide for events. Our packages are priced at a standard rate, designed to get cheaper per head for more guests you have. every great graze for all sizes! Price starting for a minimum of 10 people. the little extras that make the board special. antipastos, dips, breads, crackers, fruit paste & nuts. guests in awe and wanting more. specialty baked breads, gourmet crackers, honeycomb, infused oils and vinegars. 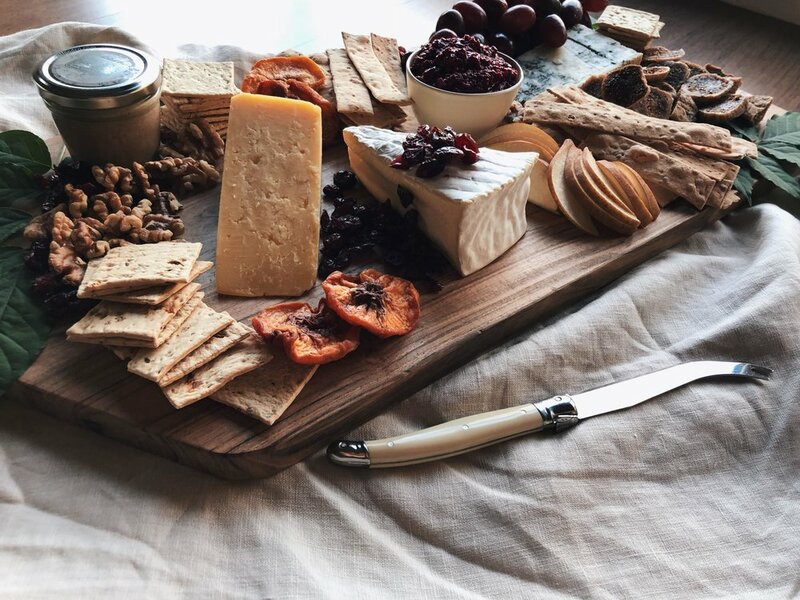 All inclusive grazing packages, cheese knives, napkins and boards. All styling props including linen, vases and florals. The price includes set up of the grazing table at the specified time. *Please note that the set up for a grazing table usually takes approx. two hours. Table/s*, set up depending on the size of your graze. This will be determined at the time of your booking. During the warmer months tables must be set up in a shady area out of direct sunlight or indoors in an air conditioned room, depending on the temperature, for food safety reasons. Items must be wiped down and returned to The Vine & The Farmer within 3 days of the event. We require a 50% deposit at the time of your booking to secure your date. Deposits are fully refundable for cancelations up to 2 weeks prior to your event. Travel is included in the prices for Bendigo and surrounding suburbs. Travel outside of these areas may incur a travel fee, please get in contact with us to find out more. Smaller boards delivered right to your door step!